"We have never experienced service like this from any other shop we’ve used in the past. We can safely say that we don’t plan on bringing our vehicles anywhere else." "When I picked up the car I could not believe how clean and sparkling it was inside and out. Your staff also fixed the door dents on the car at no extra cost! I feel like I now have a new car." "I hope I do not have to use your company too soon in the future, but if that accident should arise, I know where I will be taking my vehicle." 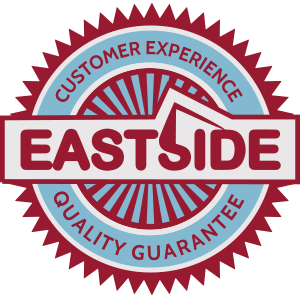 "The staff at Eastside Collision was very courteous and friendly. My vehicle was ready on the suggested day and was in perfect shape. The quality of work they performed was exceptional and the vehicle was as good as new." "Rather than simply fix the mechanical problem, Doug made a call to my dealership and made arrangements for me to have the dealership look after the issue. Thank you for all your hard work and effort which went above and beyond my expectations." In terms of workmanship, Eastside Collision, along with MPI, will stand behind the repairs years later & different vehicle owners. If there is ever a workmanship defect found, you can be assured Eastside will take care of it. Our reputation in the business is well known & respected. 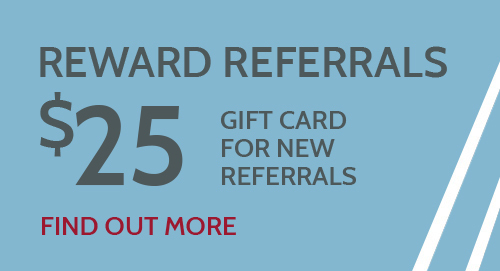 Share your exceptional customer experience with a friend, family member or colleague and as part of our referral program we’ll send each of you a $25 Tim Hortons gift card. Plus, you’ll both be entered to win one of five bonus $20 Tim Hortons gift cards, one of two $100 fuel cards, or one grand prize (ask us for details).